Tie Rod is an industrial fastener that is made up of finest raw materials like mild steel, carbon steel, alloy steel and stainless steel. All these are manufactured under the strict guidance of experienced professionals and by testing them as per international standards. These are manufactured by us in different sizes and dimensions, according to meet the demands of different industries. Also, we are specialized in providing these Tie Rods in custom-made sizes and specifications that are especially made according to their preferences and demands. 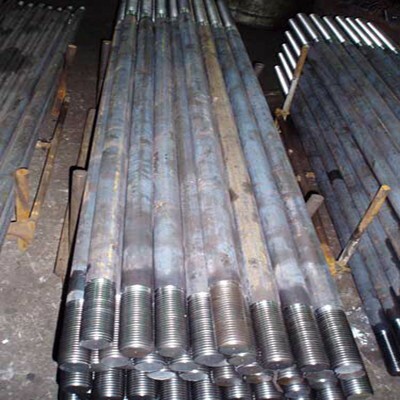 Fabricated using mild steel, carbon steel, alloy steel, stainless steel, our products are extremely applauded in the markets of India and other abroad countries like Sri Lanka, Bangladesh, Nepal, Bhutan, etc. Thus, our bulk availability and affordability of products have acclaimed us as one amongst the reckoned Manufacturers, Exporters and Wholesale Tie Rod Suppliers, based in Chennai (Tamil Nadu) India.